Ascending Butterfly: F.A.B. 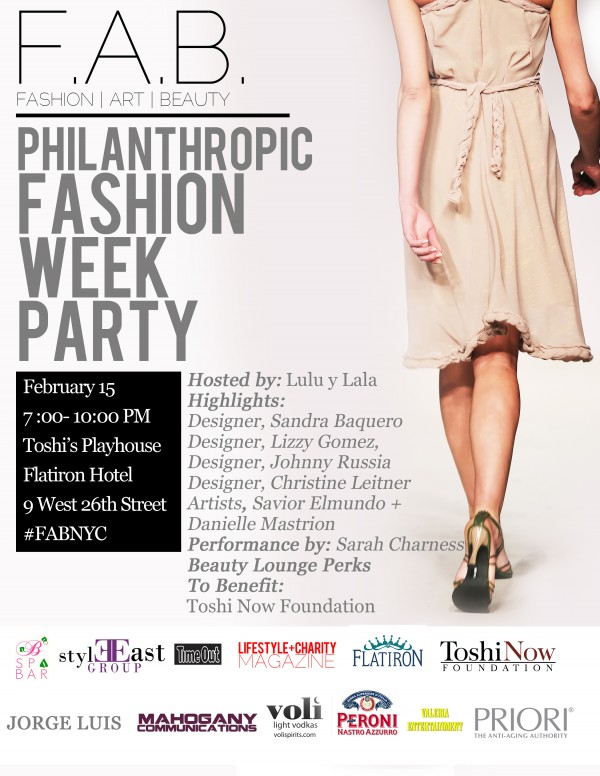 Philanthropic Fashion Week Party #FABNYC Event Recap! Opera, Violins, Belly Dancing and Latina Reality Stars! F.A.B. 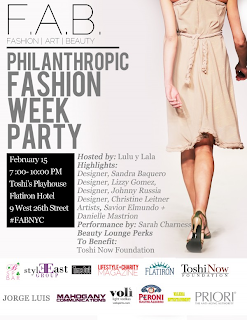 Philanthropic Fashion Week Party #FABNYC Event Recap! Opera, Violins, Belly Dancing and Latina Reality Stars! 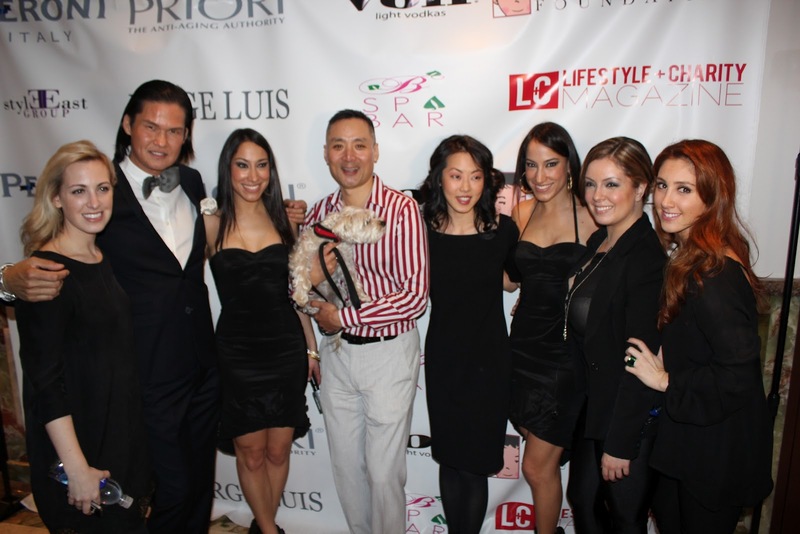 Excitement and Electricity flowed through the Flatiron Hotel on Wednesday, February 15, 2012 during the Fashion, Art, Beauty Exhibition hosted by Latina Reality Stars Lulu y Lala to benefit the Toshi Now Foundation. 'Las Gemelas' Lulu and Lala, are twin sisters who gained stardom from their appearance on Univision's beauty reality competition "Nuestra Belleza Latina 2007" (My Latin Beauty). The event which combined Fashion, Art, Beauty and Philanthropy had over 300 leading Fashion Editors, Bloggers, Fashion and Accessory Designers, Philanthropists and Fashionistas in attendance. 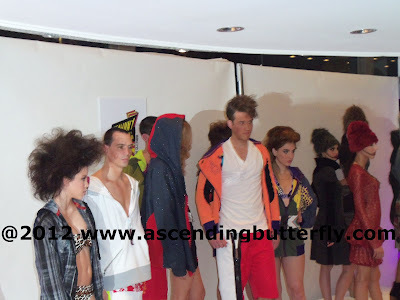 The event was expanded from it's successful launch in October 2011 at Misin Shin Salon, to now include Fahion and Art Exhibits, and a wide variety of entertainment. 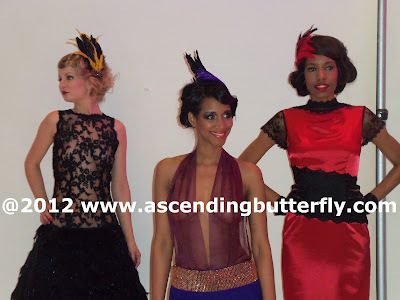 Photos: Below are a mix of photos from the event, the watermarked ones were taken by Ascending Butterfly (please do not 'borrow') and the non-watermarked photos were provided by Lifestyle + Charity Magazine and are being used with permission, please contact them directly if you would like to use their photos! This was by far my favorite Fashion Week Party! It was the most lively, energetic and just plain inspiring. They combined Fashion, Art and Beauty with Philanthropy perfectly, it managed to be as Trendy as you would expect while still being entirely approachable and 'un-stuffy'. The event will be held again for Fashion Week in September and I'm very much looking forward to it! FTC Disclosure: Ascending Butterfly was provided passes to this event as a member of the digital press, gift bags were provided to press attendees. No additional compensation has been received. All opinions expressed are my own. @Katherine It was definitely a fun night, sometimes fashion week can be total insanity and a lot to take in, but the F.A.B. event was fun and laid back and never felt like anyone was trying to hard! I may be late for the next hop, doctors appointments this Thursday!